Baltimore Bishop T. Rozanksi talks with the Catholic Review about his new appointment and his ministry in Baltimore. In the summer of 2013, I crossed the border between Douglas, Ariz., where some of our School Sisters of Notre Dame live, to Agua Prieta, Mexico. 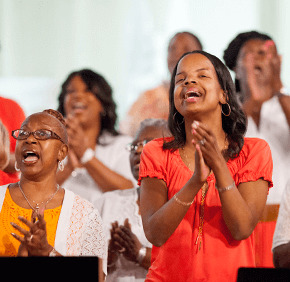 Using music to move people in worship of God has been the focus of the St. Bernardine Gospel Choir.